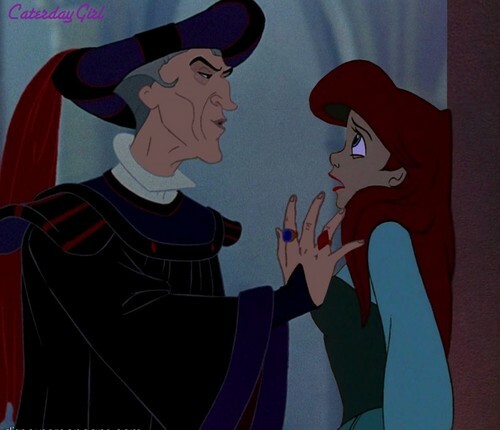 Frollo Seduces Ariel. This is wrong on so many levels. Any Disney princess paired up with frollo is just wrong. there is no excuse for doing this cause things like this actually happen. If this someone's idea of a joke it's not funny, I don't care if it's just make up.. HD Wallpaper and background images in the Chuyển thể của hãng Disney club tagged: disney crossover ariel frollo.